Reshard Cliett, a sixth-round pick out of the University of South Florida by the Texans in 2015 who’s spent time with six teams over the past three seasons, signed with the Vikings on Thursday. The Vikings announced on Thursday they’d officially re-signed punt returner Marcus Sherels for a ninth season with the team. They also added a linebacker to their roster who could help on special teams and provide depth at the position. Reshard Cliett, a sixth-round pick of the Texans in 2015 who’s spent time with six teams over the past three seasons, signed with the Vikings on Thursday. The University of South Florida product could give the Vikings another option at weak-side linebacker, after backup Emmanuel Lamur left for the Raiders. The 6-foot-2 Cliett, whom the Texans drafted 211th overall in 2015, ran a 4.4-second 40-yard dash and flashed a 38 1/2-inch vertical jump at his pro day before the draft. After the Texans released him before the 2016 season, he spent time on practice squads with the Broncos, Jets and Cardinals, and was on the Titans’ and Chiefs’ rosters before the start of the 2017 season. 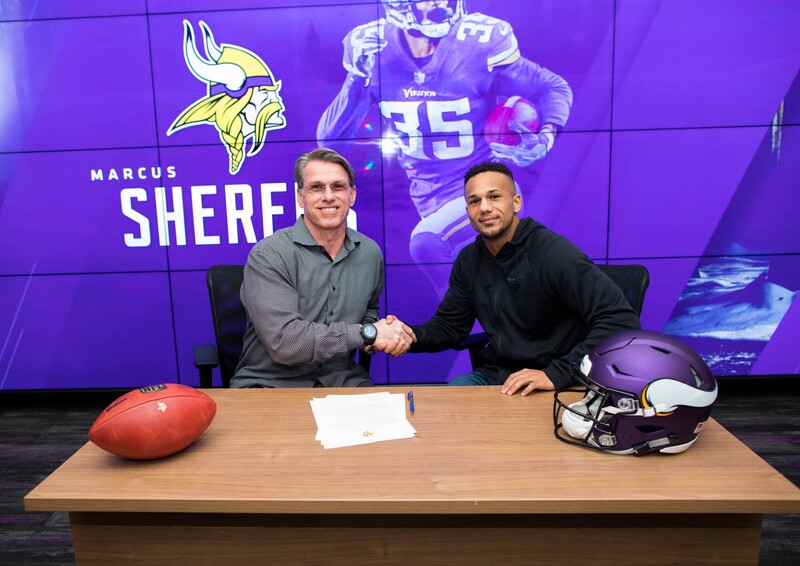 Sherels, the Vikings’ all-time leader in punt return yards and touchdowns, returns on a one-year contract, his sixth different deal with the team since the Vikings signed the Rochester native as an undrafted free agent following his time with the Gophers in 2010.